Everyone’s favorite 2010’s supermodel turned jewelry designer has been dropping her skincare routine on social media as of late. Maude has a previous post on her strict skincare rules for keeping her skin wrinkle-free and clear, but recently she’s been expanding on these rules for her followers on the gram. Her focus is on natural products with non-disruptive ingredients that keep her skin bacteria free and full of moisture. This is probably the hardest step! I am always touching my face and picking at spots when I have them even when I know I shouldn’t, so I get you. Touching and picking at your skin causes more spots and tugs at the skin which can cause premature aging. Picking at acne also increases the chances of scarring by A LOT. She uses an oil cleanser to clean her skin on a regular basis. From a post on her Instagram, I found out that she uses Dr. Alkaitis’ Organic Purifying Facial Cleanser. This baby goes for upwards of $60. I am sure it works fantastically, but I am not quite convinced that a concoction of essential oils should be costing you such a pretty penny. I would like to propose a counter offer of the DHC Deep Cleansing Oil which will work similarly to Magdalena’s pick in terms of both being a gentle oil based cleanser that will not pull moisture from your skin. She recommends taking hot water in a bowl and placing your face over it with a towel overhead. I personally would recommend investing in a facial steamer from amazon for a much less hassle-ey situation. Magdalena puts eucalyptus oil into her water, which she claims increases the cleansing effects of the steam. I do believe that this will make your skin tingle, but I don’t see much evidence for it benefiting you in any tangible way and may actually irritate your skin. I have heard that some people put swiss kriss, a natural laxative, into their face steaming water as well, but I honestly think that good old fashioned steaming hot water is going to do the trick just fine. Stay under for 5-10 minutes to really open up your pores. She recommends the Aztec Secret Indian Healing Clay mask to clean out your pores. I like this mask too, but I just want to premise that when I used this mask it DREW OUT everything hiding under my skin, so I ended up with a couple of breakout afterwards that I’m not totally convinced had to happen. It is a very powerful mask though and I know plenty of people actually worship it. Leave it on for about 10 minutes. I wouldn’t leave it on for much longer because it is DRYING and you don’t want to put too much pressure on your skin. Step 5 - Zap them! Literally! This is the most intriguing part of this routine and the one that I am most excited to give a try myself. She uses a high frequency electric current machine to kill the bacteria living inside her skin. She uses a machine called D’arsonval, which comes with a variety of attachments for all your zapping needs. She says do this every night in order to keep the skin totally free from harmful bacteria. The zapping noise the machine makes is just scary enough to make you feel as though you’re really doing something. These devices seem to be pretty cheap, especially considering other devices of a similar nature that you can purchase. The exact machine the Magdalena recommends is hard to find, so I would recommend finding a similar product online. Zinc is my favorite spot treatment! I prefer it by far to other popular acne treatments, like salicylic acid and benzoyl peroxide (note: retinol is still and always will be my favorite acne treatment). Zinc ointments are incredibly easy to find over the counter at most drugstores, but if you really have a problem with pesky breakouts, you can get a prescription for a supercharged one from a dermatologist. 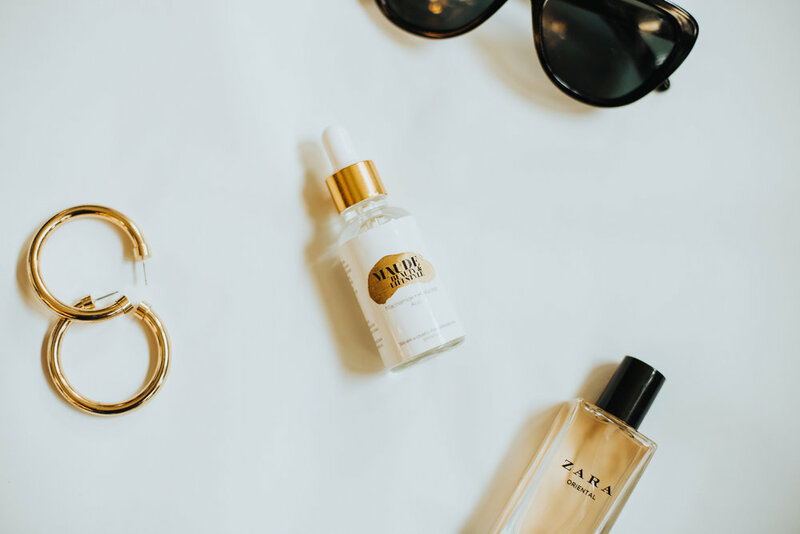 In arguably the most crucial step of anyone’s skincare routine, Magda suggests warming pure Jojoba Oil in your hands for a few seconds before patting it on your skin. Yes, patting. Any pulling or tugging will only cause premature aging. And no, do not be afraid of oil if you’re prone to breakouts. The right oils (jojoba, grapseed) are actually beneficial to oily-prone and acne-prone folk. She also recommend mixing in tea tree oil, which is an anti-inflammatory and is anti-bacterial, so it’s perfect for those nasty breakouts. Finally, she sprays rose water on her face upwards of 10 times a day to lock in all the moisture one can handle, without being too sticky. Are you tired yet? Luckily, we’re almost there! Magdalena uses a product called Linomag, which you can find on very sketchy websites if you so choose, but from what I gather, it is a pretty standard lanolin cream used to treat severely dry skin and eczema. Lanolin is a super thick cream which you can apply everywhere if need be, but I would recommend maybe just sticking to the areas that really need it and using a normal face cream or oil for the rest of the face in order to avoid overwhelming your pores.